Scandal by definition means: loss of or damage to reputation caused by actual or apparent violation of morality or propriety, disgrace. Scandals are never meant to get out but somehow they just seem to slip out and cause much damage to at least one of the parties involved. There is seldom a scandal that is deliberately released but if it is you better believe that it is for personal gain of only one person, the person who set the scandal in motion. Sasha Davenport is a local celebrity. Sasha has a television sports show that is all the rave but Sasha wants more, she is shooting to have bigger and better things like a reality tv show to put her on the map nationally. The Football Widows social club is Sasha’s baby but she wants more people to know about her self-proclaimed greatness. Sasha just has to figure out who will be her stepping stone to getting this reality show, and she has just the person in mind. Tatayna Bacall is a football widow who is married to superstar quarterback Dax Bacall of the Los Angeles Sea Lions. Tatayna is hoping that by being a part of this social club for women who are like her she will meet new friends and have a sense of belonging outside of her husband and children. Things are going great for Tatayna until she starts to get these mysterious letters turning up at her home. For as strange and mysterious as the letters it is beginning to plant doubt in her mind regarding the happiness of her marriage. Is she truly happy or is she just living the dream that she has imagined up in her mind? Jerri Nelson is married to Jason Nelson of the Los Angeles Sea Lions and their marriage is a strange one to say the least. They are in the process of a divorce but neither side can settle on a reasonable amount that the other will agree on. Their living situation is nothing less than stressed comedy, they continue to push either buttons to see who will break first. Sheer will and determination will keep these two at each other throats until one breaks, and that will be no time soon! 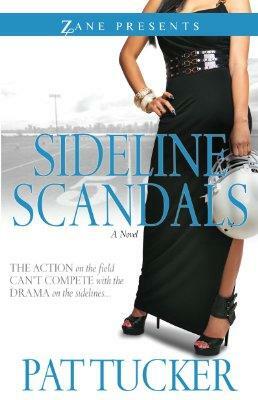 Sideline Scandals is a bona fide hit if you are looking for scandal and intrigue! This book has you engrossed in the story line from the very beginning and keeps you there throughout the story! This is one of those books where you find yourself talking to the characters and telling them what YOU would do if you were there! Tucker keeps a constant flow of energy in this book, leaving you breathless in the end. I loved the story and the characters and way that they interacted with each other, it flowed like you were watching it on the big screen. I applaud Pat Tucker for this novel and will looking forward to reading more from her in the future. Sideline Scandal RELEASES on September 3, 2013 so pre-order your copies now, and it will be available for purchase through Amazon.com (paperback and Kindle), BN.com (paperback and Nook), iBooks, BAMM.com and wherever books are sold and the publisher’s website: http://www.simonandschuster.com/. By definition the word LIE means: To make an untrue statement with the intent to deceive, to create a false or misleading impression. When we keep secrets it is just as bad as lying because it is omission of the truth. What if that omission is for the greater good, is it still bad? Angela Bowen is a beautiful 26-year-old woman with a successful catering business that was started by her mother. Angela loved everything about her mother because her mother taught her how to be the woman that she is today, but that can also be her curse because she is more like her mother than she even realizes. Angela’s mother taught her about cooking and that turned into a catering business that is loved by all in town. Unbeknownst to Angela she had also picked up that trait that shows that she was lacking love from an important man in her life. Seeing that she was spiraling out of control, Angela went deep into prayer to help her through this situation. Vowing that she will only and always keep her eyes on God, Angela just hid her hurt and pain and thought that everything was alright. That is until she met Malik Chapman and her entire world starts to crumble. Can Angela get through all of this buried pain that she is carrying or will she be bitter and hurting for the rest of her life? 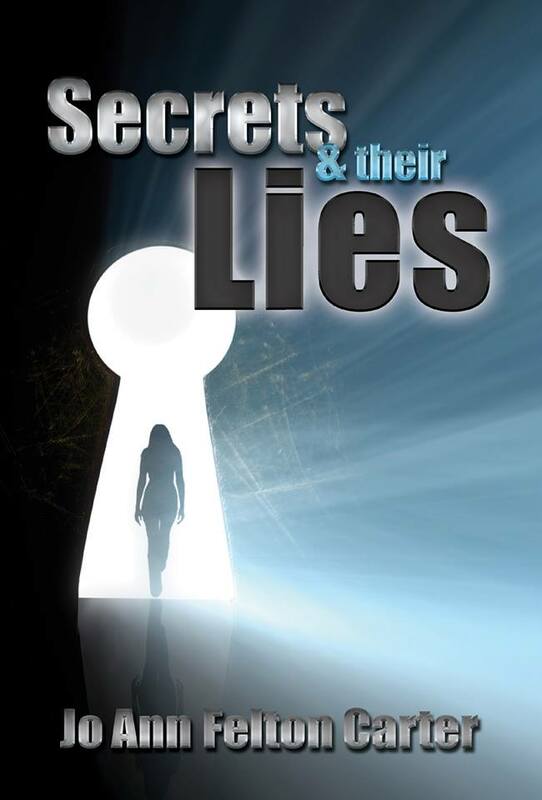 Secrets & Their Lies is a story about love, lies and trust. Angela is being taught through her mistakes and the mistakes of those that came before her that she needs to keep her eyes and faith on God and she will get through any and every situation. This novel is Christian Fiction but it is also speaking to us because this could have been any of us on any given day. The main character is female but the situations hold no gender boundaries. I enjoyed this book and I love Carter’s writing, she always makes me feel like her books are about me. Secrets & Their Lies can be purchased in paperback format through Amazon.com, BN.com, and the publisher’s website: http://aprosperingsoul.wordpress.com/.